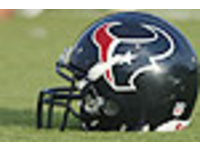 Visit the Texans' official website for your daily fix of team information. Texans general manager Brian Gaine said Thursday sides continue to try to hammer out a long-term solution for pass rusher Jadeveon Clowney before the July 15 deadline. When the Houston Texans visit the New Orleans Saints to open the 2019 campaign on Monday Night Football, Will Fuller is expected to be in the lineup. Texans safety Andre Hal announced Tuesday he's retiring after five seasons. Hal, who is in remission following his battle with Hodgkin's Lymphoma, said he's "completely healthy." The Texans placed the franchise tag on pass rusher Jadeveon Clowney earlier this month. Clowney, however, is seeking a long-term contract. The two have until July 15 to hammer out a deal. Offensive tackle Matt Kalil, who was recently cut by the Panthers, signed with the Houston Texans on Friday, NFL Network's Tom Pelissero reported via sources. The Texans are expected to sign former Broncos cornerback Bradley Roby to a one-year, $10 million deal, NFL Network's James Palmer reports. Houston also signed safety Tashaun Gipson. Kareem Jackson enjoyed his nine years playing for the Texans. But after agreeing to a three-year deal with the Broncos, the cornerback admitted he's surprised Houston didn't approach him about a reunion. The Texans have released CB Kevin Johnson, Ian Rapoport reports. Houston drafted Johnson in the first round four years ago. He played just one game in 2018 before going on injured reserve. Jadeveon Clowney is staying in Houston. The Texans placed the non-exclusive franchise tag on Clowney, listing him as a defensive end/outside linebacker. Following a rookie season in which he was plagued by a hamstring injury, Texans receiver Keke Coutee has proclaimed himself to be back and healthy. NFL Network Insider Ian Rapoport reported over the weekend the Texans want to get a contract extension done with Jadeveon Clowney before the franchise tag deadline. NFL Network Insider Ian Rapoport reports Houston is aiming to bring back pass rusher Jadeveon Clowney and defensive back Tyrann Mathieu. NFL Network Insider Ian Rapoport reports receiver T.Y. Hilton is likely to play for Colts against Texans, who are expected to have receiver Keke Coutee back on the field. 4/15 Brennan Scarlett (OLB) No Offer Sheet Executed (no offer sheet executed). 4/15 Ka'imi Fairbairn (K) No Offer Sheet Executed (no offer sheet executed). 4/15 Brandon Dunn (NT) No Offer Sheet Executed (no offer sheet executed). 3/27 Matt Kalil (OT) Free Agent Signing (free agent signing). Bill O'Brien was named the third head coach in Houston Texans franchise history on Friday, Jan. 3, 2014. The 44-year old brings 21 years of collegiate and NFL coaching experience to the Bayou City. The former Penn State head coach and New England Patriots offensive coordinator has ascended steadily throughout his coaching career. O'Brien spent the last two years leading Penn State through one of the greatest periods of strife any major college program has endured, garnering national and conference coach-of-the-year awards in the process. In the five years prior to his tenure at Penn State, O'Brien helped lead the New England Patriots to a pair of Super Bowl berths, first as an offensive assistant in 2007 and then again in 2011 as offensive coordinator. Oâ€™Brien's first stop as a head coach proved he has the mettle to handle the toughest of situations as well as the talent and leadership ability to succeed in them. The Brown University alum took on one of the tallest tasks in college football history when he was named head coach at Penn State on Jan. 6, 2012. In addition to replacing Joe Paterno, the all-time winningest head coach in NCAA Football Bowl Division history, O'Brien was saddled with guiding PSU through heavy scholarship reductions, a four-year postseason ban, open transfer policy for players on the roster he inherited and the public aftermath of a devastating scandal that threatened the football program's storied existence. Penn State won eight of its final 10 games to finish the 2012 season 8-4. O'Brien, who also served as offensive coordinator for the Nittany Lions, was named the Bear Bryant, Maxwell Football Club and ESPN National Coach of the Year after winning more games than any other first-year head coach in the programâ€™s previous 125 seasons. He also was named the Big Ten Conferenceâ€™s Dave McClain Coach of the Year by media and the Hayes-Schembechler Coach of the Year by coaches. A member of the Patriots' coaching staff from 2007 until coming to Penn State, O'Brien rose from offensive assistant his first season to wide receivers coach in 2008 and then quarterbacks coach from 2009-10 prior to his promotion to offensive coordinator/quarterbacks coach in 2011. O'Brien began his coaching career at Brown in 1993 as a tight ends coach before serving as inside linebackers coach in 1994. He joined George O'Leary's Georgia Tech staff in 1995 as a graduate assistant, helping the Yellow Jackets to bowl appearances in each of his last six seasons. O'Brien was promoted to Georgia Tech's offensive coordinator and quarterbacks coach in 2001 and assistant head coach in 2002. O'Brien joined Friedgen's staff at Maryland in 2003 as running backs coach. The Terrapins finished second in the ACC in rushing in his first season and defeated West Virginia, 41-7, in the Gator Bowl. Following two years in College Park, O'Brien served as offensive coordinator and quarterbacks coach at Duke from 2005-06 before joining the Patriots' coaching staff. Born in Dorchester, Mass., O'Brien grew up in the Boston suburb of Andover and graduated from St. John's Preparatory School in Danvers. O'Brien went on to play linebacker and defensive end at Brown from 1990-92. O'Brien and his wife, Colleen, have two sons: Jack, 11, and Michael, 8.